Shangri La is based on a true story about a white-collar Chinese worker that lives in Beijing. After he reads the fantasy novel “Lost horizon”, he begins an extraordinary journey with a backpack to find his “Shangri-La”. His quest to find it was so intense that he crossed 6 provinces and 12 cities, passing by the Shangri-La and the Tibet region. On his way, he meets and talks with many travelers such as a Tibetan Thangka master, a Wudang Kong Fu master, a hundred years old Daoist priest and a philosophy professor. Once he understands their advices, he follows his own feelings to realize that he was guided to a mysterious place. Winner "Best Narrative Feature", Omichka International Film Festival, Russia 🇷🇺. Semi-Finalist, LA Cinefest, USA 🇺🇸. Finalist, Echo Film Festival BRICS, Russia 🇷🇺. Official Selection, LIFFT INDIA Filmotsav, India 🇮🇳. Official Selection, The 4th Asia Rainbow TV Awards, China 🇨🇳. Official Selection, Pakistan International Mountain Film Festival, Pakistan 🇵🇰. Semi Finalist, LAIFFA Los Angeles Indipendent Film Festival Award, USA 🇺🇸. Official Selection, Travel Film, Russia🇷🇺. Finalist at CAADF China Academy Awards for Documentary Cinema, China🇨🇳. Official Selection-December Edition, Miami Indipendendent Film Festival🇺🇸. Official Selection-December Edition, Roma Cinema DOC, Italy 🇮🇹 . Winner Best Documentary Short, Nomination as “Best original” and “Best Editing”, Top Indie Film Awards, USA🇺🇸. Official Selection, Largo Film Awards, Switzerland🇨🇭. Winner Environmental / Mountain Culture Competition, Mountain Film Festival, 🇺🇸USA. Official Selection, Grecanica International Film Festival, Italy 🇮🇹 . Semifinalist, Hollywood Verge Film Awards, 🇺🇸USA. Official Selection, Hollywood Forever Film Festival, 🇺🇸USA. Winner AWARD of MERIT-Special Mention, IMPACT DOCS Awards, 🇺🇸USA. Official Selection, TWIFF The World's Independent Film Festival, 🇺🇸USA. Official Selection, Balkan Can Kino, 🇬🇷Greece. Official Selection, Great Lakes International Film Festival, 🇺🇸USA. Official Selection, Guangzhou International Film Festival, China🇨🇳. Winner PLATINUM AWARD-Foreign Short Doc, Oregon Film Awards, 🇺🇸USA. Semifinalist, Official Selection, Hollywood International Moving Pictures Film Festival HIMPFF, 🇺🇸USA. 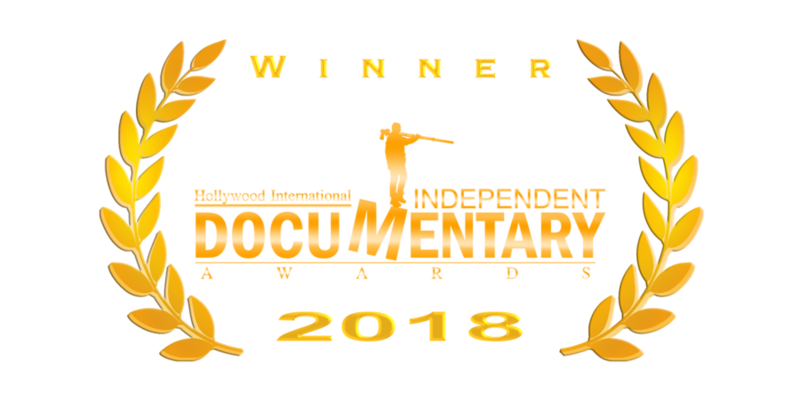 Winner AWARD OF EXCELLENCE-Best Cultural Short, Semifinalist as “Best foreign doc short”, HIIDA Hollywood International Independent Documentary Awards, 🇺🇸USA. Official Selection, Kino-Duel International Film Festival, Belarus. Silver Remi Award-Finalist, WorldFest-Houston International Film & Video Festival, 🇺🇸USA. Maple Leaf Award 2019, Vancouver Chinese Film Festival, Canada.